The System of Solidarity Advisory Group met in Brussels to guide the Network’s security and protection efforts for the coming period. 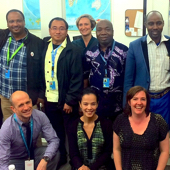 Indigenous leaders and rights advocates gathered in New York to promote human rights related to lands and territories. 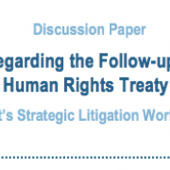 The Strategic Litigation Working Group launched a discussion paper with proposals regarding the follow-up on views issued by United Nations treaty bodies. 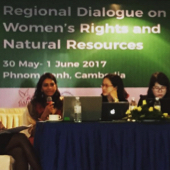 Women and ESCR advocates participated in an Asian regional dialogue on women’s rights and natural resources. A new video and resources page on the Optional Protocol to the International Covenant on ESCR support national-level advocacy for access to justice. 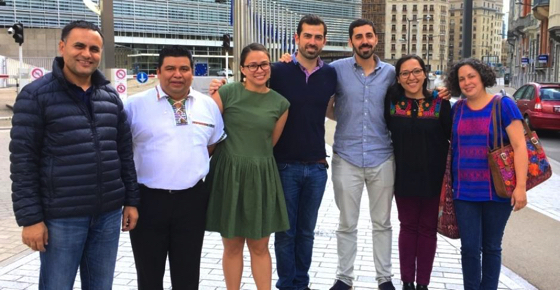 ESCR-Net has filled two new positions: Program Coordinators for the Economic Policy and Monitoring Working Groups, in addition to a new Corporate Accountability Program Coordinator.